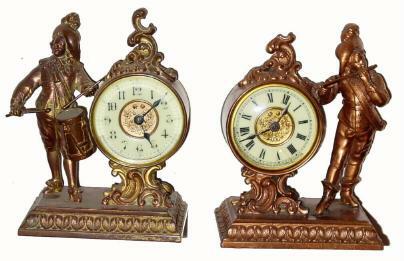 C.1900, Ansonia (Lot of 2), FIFER and DRUMMER, in good original condition, except for the lacking top swirl on the fifer. See info on this set in Ly\'s Ansonia book, item No. s 2221 and 2223. Height 7" One bid for both.